The different memory types have their advantages and disadvantages. Tape libraries are suitable for data backup due to the associated slow access times, but higher write speeds. Optical libraries, thanks to their high durability and immutability (trueWORM) and lower TCO compared to hard-drive systems, are ideally suited for long-term archiving. However, when it comes to quick access by several clients to modifiable data, RAID systems with hard drives or solid state drives (SSDs) are the first choice. 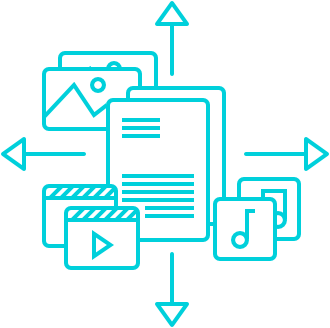 The task of modern storage management software is to retain data on the most suitable storage system, according to predetermined rules, and thus carve out valuable storage resources. PoINT Storage Manager is an intelligent, technology-independent storage management solution. Based on the rules defined, data in a tiered storage architecture is automatically migrated to an appropriate storage tier. With this tiered storage architecture, various storage technologies (hard disk, tape, optical, cloud) can be integrated. Other features include file virtualisation, data protection, data security, etc. If you have questions regarding storage management do not hesitate to contact us.